Luke Skywalker is iconic. The character is not just iconic in the world of Star Wars, but in our pop culture psyche. In the lead up to the Force Awakens there were hundreds, of questions and theories of what his role was in the film. Now after we have finished Episode 7, many of those questions still exist. 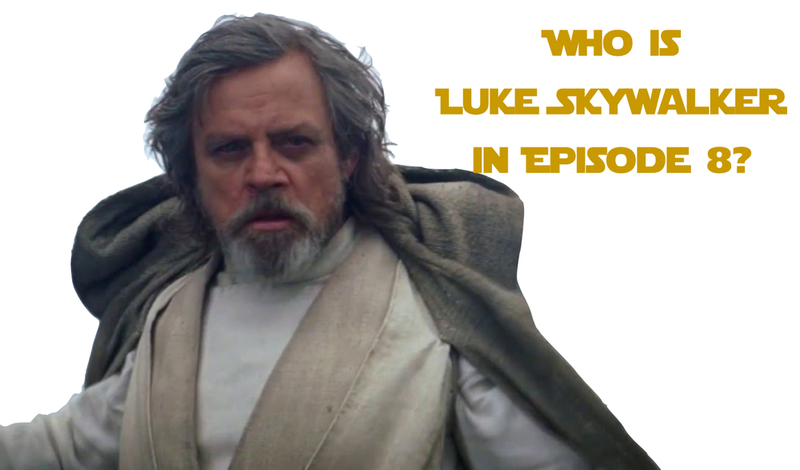 So who will Luke Skywalker be in Episode 8? There have been many “set leaks” of what Luke Skywalker was doing in Episode 8. Despite the leaks it is too difficult to make any real determination on what Luke will be like and what exactly his motivations are. Another unique situation is that Luke has completed his hero’s journey. As a result, we are left with the interesting question of, what is next for Luke Skywalker? Don’t overshadow Rey! Luke is so vital to the Star Wars story. When he does appear on the screen Rian Johnson needs to be careful to not have the iconic Jedi overwhelm every scene he is in. It is safe to say that this trilogy is Rey’s (and Kylo?) story. Because of that reality, Rian Johnson (and later Colin Trevorrow) needs to limit the powerful influence Luke has. Keep it Rey's story. Maybe in the future a Luke Trilogy can be made about his adventures between Episode 6 and 7? Many fans would be happy with that. While Luke is not the main character of this newest trilogy, he is still a vital and important part of this story. It is essential that we get to see how Luke has grown and changed. It could be so easy to make him a stock character and simply cash in on nostalgia. But there is a wonderful opportunity to explore a multitude of themes with Luke. I hope the filmmakers do just that. Luke is a BADASS! Admittedly there needs to be some fan service here. Right? I think it would not detract from the character or the story if we get to see Luke in his force power glory! As part of my second point (we need to see how Luke has grown and changed) it makes sense that Luke has grown to be very powerful in the force. Image how theatergoers will respond when Luke unleashes all of his power*. Luke will not die! I mean it, don’t you do it Rian Johnson. I think that with the death of Han Solo it becomes heavy handed to kill off another Legacy character. While most fans want what is best for the story, I have a hard time seeing how the death of Luke Skywalker serves to make the story better. But hey, we could be surprised to see what direction the story of Episode 8 goes. Luke the teacher. Obviously we expect that Luke will train Rey. While I am sure that will happen, I have a hunch that it might be a little harder than we think. Maybe Luke will be reluctant, maybe dismissive of Rey, or perhaps he refuses to train her altogether. When he does train Rey, it will be fun to not only see echoes of Obi-Wan and Yoda in his teaching, but I think it will be compelling to see Luke deviate from the norm of the Jedi. Remember the end of the Shattered Empire mini-series (see below)? Some interpret Luke’s actions to suggest that he is going in a different direction. Time will tell. What about you? What did I miss? What do you want to see from Luke Skywalker in Episode 8? * I am not suggesting that Luke uses the Dark Side. Although if Luke delves into the Dark Side it could be compelling storytelling. I am thinking more along the lines of Yoda lifting the Luke’s X-Wing out of the swamp on Dagobah in The Empire Strikes Back.